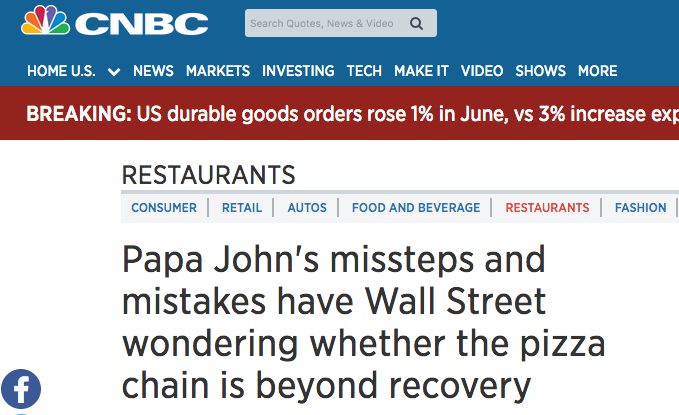 A reporter with CNBC called me last week on how I would manage the Papa John’s crisis. (You can read story here). I answered some of the reporter’s questions in writing – and not all of my answers were used. I think there is more insight that can help any company trying to prevent or manage a crisis. Here’s a look at the other questions this reporter asked, along with my answers. Oh, PR people make everything sound so easy. Here’s a better question putting that into perspective. When you attend networking events and meet more than 100 people throughout the event, how many do you actually remember? If your memory is like most people, you probably only connect to 15 people. And as the conference goes by, you’re even less likely to remember who made an impression. It’s no different with the media. During my time with NBC and CBS, I went to expos and trade shows. People would throw their business cards at me, hoping this one personal connection would lead to publicity. Sorry to break the news, but it doesn’t. Here’s a better way to get the media interested in your story. The best publicists are always selling stories to reporters and producers, while the biggest PR firms are selling new work. Sales is a required function of both sides of the PR business. I always tell potential clients, I didn’t grow up selling PR accounts. I grew up in the media, selling stories to journalists – and to the public. Yes, we have to sell business and submit proposals just like all other PR firms, but I don’t want this firm to ever sell accounts, for the sake of selling. I want to help businesses develop and grow their brand. 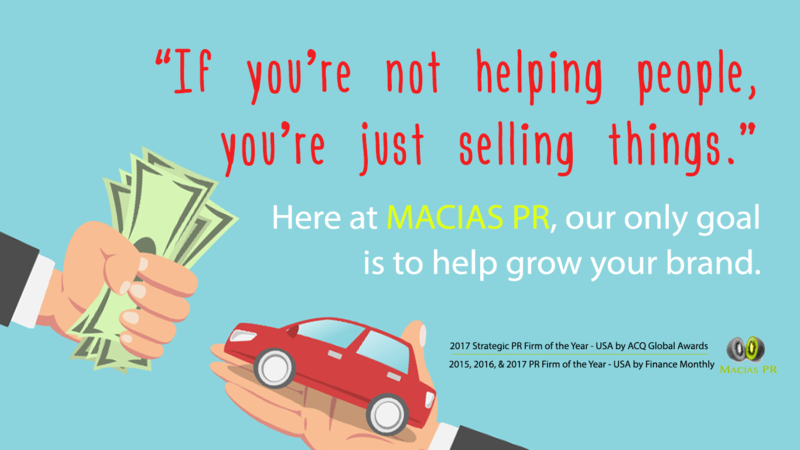 There are many businesses that aren’t a good fit for PR, and I tell those clients when I don’t think MACIAS PR can help them. I also try to explain why they may have a better alternative for their budget. In a karmic world, it will come back to us.